You’ll find them in offices, boardrooms, classrooms, breakrooms, and newsrooms throughout the nation. They’ve become popular at baby showers, birthday parties, and other social events– even weddings. They’ve been featured in movies, television sitcoms, cartoons, video games, children’s books, and music albums. And, it’s purported that they’re a staple in just about every police station, large and small, across America. What we’re talking about is that typically ring-shaped, fried, sometimes frosted, sometimes glazed, sometimes filled confection known as the American donut. Or, “doughnut,” if you prefer the traditional spelling. Regardless of how you choose to spell it, the fact is there’s hardly anyone who doesn’t love donuts. 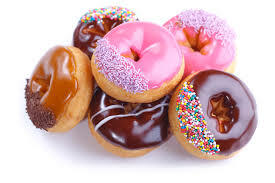 In fact, they are so popular that Americans consume more than ten billion donuts each and every year, making them by far the country’s most popular sugary treat, especially with that morning cup of coffee. One problem with these early Dutch inspired treats was that the outer edges got done while the centers remained somewhat raw. One solution to this issue was to stuff the centers with jam or fruit or some other filling that required little to no cooking. But in 1847, an American ship captain named Hansen Crockett Gregory solved this problem by putting a hole in the middle of the dough, thereby providing more surface area to come in contact with the oil and eliminating the uncooked center. Exactly how Gregory went about devising his invention is the subject of several legendary tales. 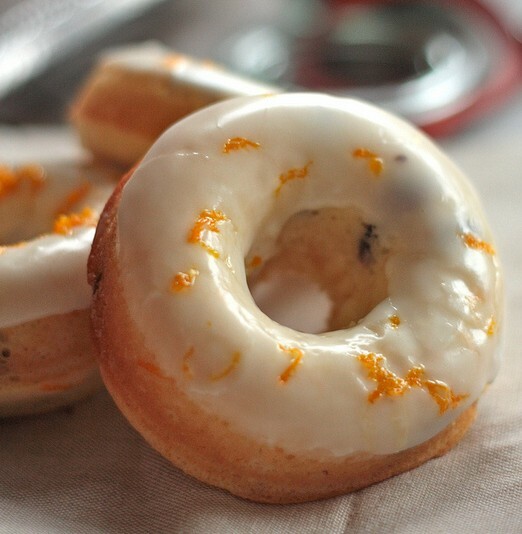 According to one popular version, Gregory’s mother Elizabeth made him some donuts to take on a voyage. While enjoying one of his mother’s treats, Gregory didn’t like the raw centers. He suddenly had the idea of just removing the center by punching it out using the ship’s tin pepper box. When he returned from his trip, he showed the idea to his mother who immediately made a fresh batch using her son’s trick. The results were well-done, completely fried-through donuts. 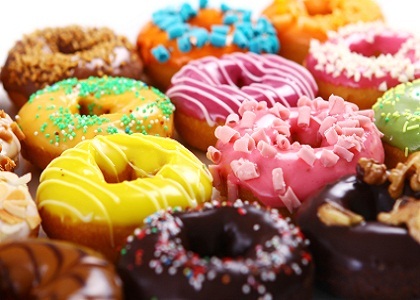 It was only after World War I that donuts became popular in America. 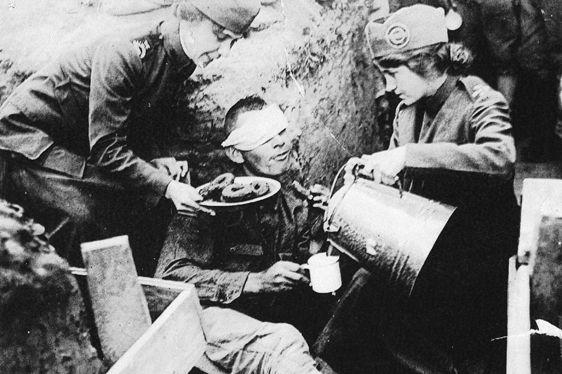 In August 1917, more than 250 Salvation Army female volunteers known as “doughnut lassies” prepared and served thousands of fresh donuts to homesick front-line soldiers serving in France. When our troops returned home from war they had a real taste for donuts, and small local bakeries tried to meet their growing demand but with only limited success. Then in 1920, an enterprising young Russian refugee named Adolph Levitt invented the first donut machine to increase production of these tasty rings in his busy Harlem bakery. Soon, hungry crowds were able to watch the donut making spectacle in action as Levitt’s machine dropped baseball size rings (with the hole built-in) in a vat of hot oil, get turned over to brown on the other side, emerge from the oil on a moving belt, and tumble into a basket. As the news of Levitt’s automated donut gadget spread and its design became more refined, demand for his machines came from bakers all across the country. By 1931, Adolph Levitt’s donut machines were earning him a respectable $25 million a year. It was also in the 1930s that a Paducah, Kentucky storeowner purchased the shop, yeast-raised donut recipe, and copyrighted name Krispy Kreme from a misplaced New Orleans chef by the name of Joe LeBeau. That businessman hired his nephew, Vernon Rudolph, to sell his donuts door-to-door. But Vernon soon wanted to expand and sell the donuts on a much larger scale, so he and some other family members subsequently opened shops in Nashville, Tennessee; Charleston, West Virginia; and Atlanta, Georgia. Still not satisfied, Rudolph sold his interests in the family stores and in 1937 moved to Winston-Salem where he and two friends began making Krispy Kreme donuts and selling them out of their 1936 Pontiac to local stores and supermarkets. As demand for his donuts grew, Rudolph and his buddies cut a hole in their factory wall, installed a sales window and began selling retail. By the 1960s, Krispy Kreme had stores throughout the Southeast. Rudolph died in 1973, the company reorganized, and in 1976 was sold to Beatrice Foods. 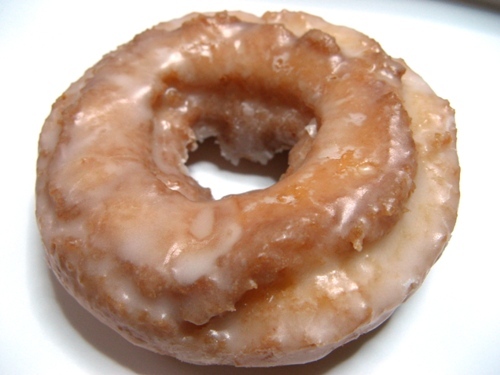 In 1949, Bill Rosenberg opened his first donut restaurant named Kettle Donuts in Quincy, Massachusetts. He had conceived the idea after noticing coffee and donuts were the two most popular items his food business was selling to the factories and construction sites it served. The following year Rosenberg changed the name of his restaurant to Dunkin’ Donuts and by 1955 he had sold the first franchise. In 1959, the company started on a growing streak and in 1963 Rosenberg’s company opened its 100th store. Today Dunkin’ Donuts is one of the largest coffee and baked goods chains in the world, with over 15,000 restaurants in thirty-seven countries. In addition to these well known donut giants, other prominent American donut chains include Shipley’s, Winchell’s, Daylight Donuts, and of course Canada’s Tim Horton’s. But of the more than 8,966 donut shops in America, the majority are still locally owned independent mom and pop stores. Of course, you also have the bakeries of today’s large supermarket chains contributing to the donut craze as well. Since the Dutch first introduced colonists to olykoeks in the mid-1800s, we’ve seen donuts evolve from a homespun treat made by housewives, to local neighborhood bakers specializing in donuts, to large donut chains using mass production techniques and worldwide distribution. In recent years however, we’ve seen America’s pastry chefs and entrepreneurs returning to their roots, resulting in a sort of donut revolution, experimenting with unusual ingredients and creative flavors to produce artisanal donuts–maple-bacon donuts, fruit loop covered donuts, chunky banana and cinnamon donuts, snowball donuts topped with marshmallow and coconut, and much, much more. Regardless of whether your preference is for plain, frosted, or filled traditional donuts, or one the new gourmet varieties, or if you choose to buy your donuts from one of the major chains, the little shop down the street, or just make your own, there is one thing on which we can all agree: we American’s have a love affair with donuts that’s as big as the country in which we live. 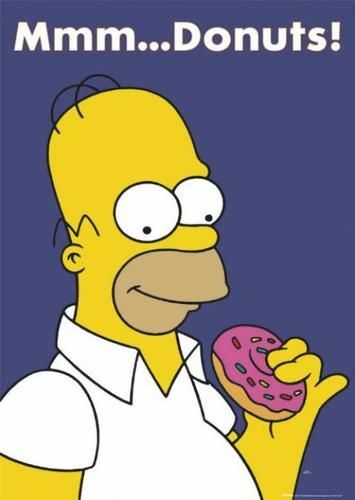 Have you had your donut today?